With the advent of advancements such as smartphones, high-speed internet, audio and video chat virtual intelligent and digital marketing tools, everyone has to adopt dynamic business strategies. To support these challenges, developing and cultivating basic skills is essential for both individuals and companies. Both Gen X and millennials will face this skill development challenge. It is essential for adults to study hard and adopt new technology and skills. On the other hand, they also have to nurture their kids and prepare them for the globalization. Personal skills, communication skills, interpretation skills, information literacy, experiential learning, ethics, professional and social understanding, research and innovation etc. are very crucial to survive in the current market trends. Here is a list of skills vital to your growth trajectory. In globalization, one must study to learn the breadth and depth of the subject; don’t just focus on the academics. It is a frequent problem that people focus on certification, degree and grades but pay less attention towards understanding the heart and applicability of the subject. 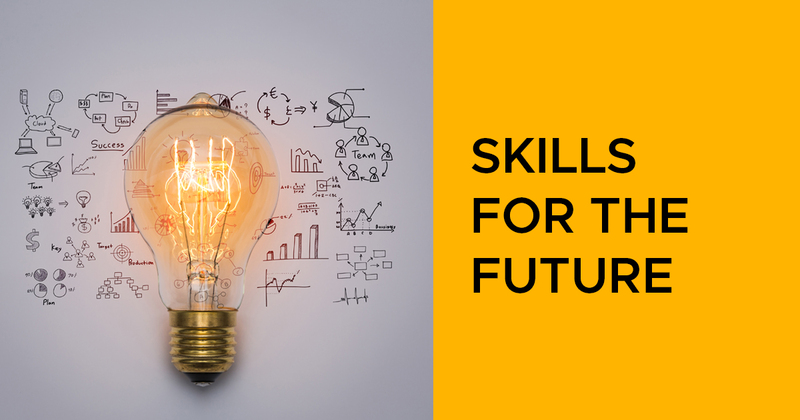 However, today one should focus on the skills and concepts of that particular subject so that in the future they can convert these skills to applicability. It is one of the significant issues faced by Indians while exploring the global environment. It is essential to understand the value of time and become punctual. As a parent, you also need to make sure your kids follow punctuality from childhood. Technology advancements have changed the learning and teaching pattern. Online learning tools, virtual assistance, e-learning software have changed the traditional way of learning. Now there is no location, space and time barrier for a good learner to adopt new skills and knowledge areas. So try to develop your skills for self-learning tools and stay upgraded with current knowledge. Whether it could be book, magazine, e-magazine, e-books or internet; one should always focus on the information gathering and mindful interpreting. Creative thinking is now the backbone of every industry whether you are into banking domain, marketing domain, health care, education or food, innovation and creativity matter a lot. There is a continuous pressure of customer satisfaction, as they get more choices on a single click. So creative thinking, brainstorming is the key to success. In the past, we focus more on following rules and adopting the most successful methodologies, however, today thinking out of the box had played an important role in success strategy. It has been said that globalization made the world more vulnerable. Whether you are working into IT or banking or manufacturing domain, the unexpected circumstances are unavoidable. These situations can lead to give up their old path and adopt a new one. This applies to both personal and professional life. There is a new trend in the market; people work for two holds, one is job satisfaction and the second one is earning. You could pursue your hobbies and get satisfaction, on the other hand, you can have a support business for earning. In short, a person gains multi-skilling and can work on both fronts. When an engineer works successfully in the film industry; it becomes news!! It is believed that education and profession should go hand in hand; however current market trend says something different. A single person can be good at a diversified range of skills. To survive in the globalization; first, we need to be open for adaptation. We should welcome change with a positive attitude. To summaries, traditional skills like reading, writing, and arithmetic is just not enough to be successful in this dynamic era; one needs to have a solid base of conventional core subject and need to blend it with real-world experiences.